From art after 9/11 and stateside civil liberties to the end of the American Dream, a new series of discussion cafes will be launching in the Forum next week. Five hour-long public events will focus on contemporary American issues, bringing them to the public arena for discussion. The free series has been organised by the university’s community engagement project CUE East in collaboration with final year American Studies students as part of a module entitled ‘The New American Century: Culture and Crisis’. The first discussion, 'Globalisation: is the world becoming more American?' takes place on Wednesday, October 20. Then on November 3, the subject will be 'Should artists and writers depict 9/11 and war in their work?'. 'Civil liberties and America: the land of the free?' will be discussed on November 17, followed by 'Should America be leading the world in protecting the environment?' on December 1. 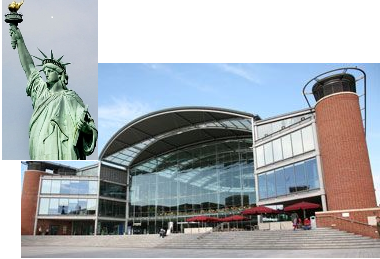 The final café takes place on December 15 on the subject of 'Financial crisis: the end of the American Dream?'. All discussions are free, open to the public, and take place from 2.30pm-3.30pm. To find out more contact Dr Wendy McMahon, w.mcmahon@uea.ac.uk. 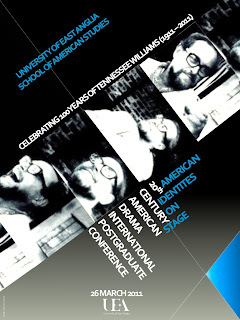 To commemorate the Tennessee Williams’s centennial, the School of American Studies at the University of East Anglia, will host a one-day international conference on 26 March 2011, focusing on theatrical representations of American identities. The invited keynote speaker is Professor Stephen Bottoms (University of Leeds). The conference will commence with a plenary speech, followed by the different panels, and will conclude with a round table discussion, which will consider themes arising from the day. Please send a titled abstract between 200-300 words (for 20-minute paper presentations) and a brief CV to f.costa@uea.ac.uk by 17 December 2010.